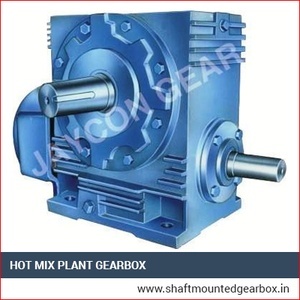 We are involved in manufacturing Hot Mix Plant Gearbox to carry out speed and torque conversions from a rotational power component to several other components. 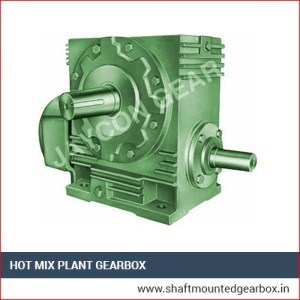 These are perfectly designed for Hot Mix Plant as per the norms of the industry. We manufacture them with high quality materials as well as components utilizing the cutting-edge technology. They comply with the international standards of quality. They are quality tested by our Q.C department to assure our clients that we supply them only high functionality and flawless products. 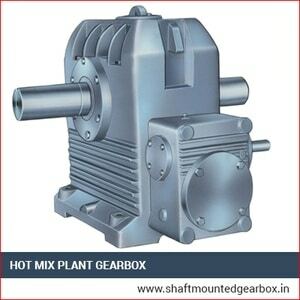 We supply them in different specifications to fit in the different models of our client’s Hot Mix Plant. These are steadfast & consistent, very competent and are inexpensively priced. These are resistant to rust& corrosion and require insignificant maintenance. They are effortless to install as well as lucrative.